Have a Shot at Becoming a Professional Footballer with Fiat! 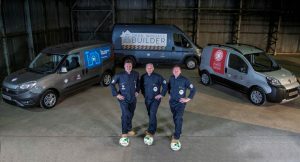 A nationwide search is on to find a current tradesman who has the talent to make it as a professional footballer in The Football League with the Fiat Professional Tradesman Trials. Have you tried to have a conversation about football over the last ten years without mentioning the astronomical transfer fees and ridiculous wages paid by big clubs on star players from around the globe? With so much money spent on tying up youngsters to academy systems from their early teens, it would seem almost impossible for amateur and semi-professional players, who have a trade under their belt, to make it to the big time any more. Fear not, the romance of football isn’t completely dead, and if Leicester City’s exploits in the Premier League this year are anything to go by, the ‘funny old game’ has plenty of surprises still in store. 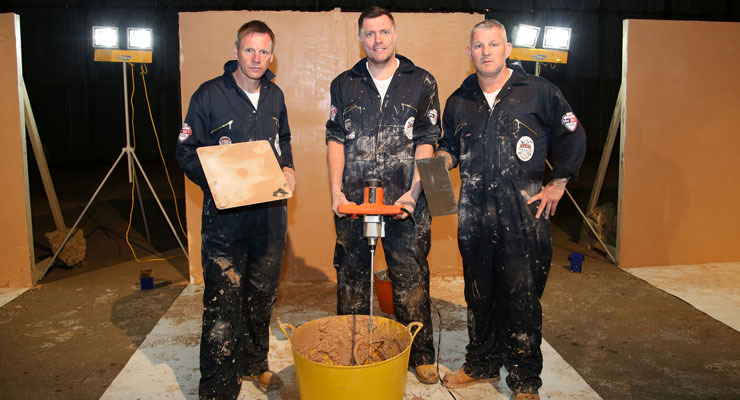 Back in April, Fiat Professional, official partner of The Football League, launched the Fiat Professional Tradesman Trials, a nationwide search to find a current tradesman who has the talent to make it as a professional footballer in The Football League. The move from the trades to professional football is a well-trodden path. There is a long list of past and present players starting out as tradesmen, including current Southampton striker and ex-Burnley and Queens Park Rangers striker Charlie Austin, who was a builder and former Wigan midfielder, Jimmy Bullard, who worked for his father’s painting and decorating company before he hit the big time. Tradesmen who think they’ve got what it takes to win the one month trial at a Football League club have until 12th June to showcase their skills by submitting videos of their footballing talent to website mentioned below. The best entries will then be invited to attend an exclusive Tradesman Trials day, in association with The Football League that will take place by the end of June, where they will be put through their paces in front of a selection of scouts and Fiat Professional’s football ambassadors. The winner will then select his preferred club from those signed up to the campaign and receive a £2,000 prize. Stuart Pearce started his career as an electrician and continued to trade until the age of 25 alongside his professional football duties, while Dean Windass was a hod carrier on a building site in Hull for 18 months. Geoff Horsfield worked as a builder before he signed professional terms and has since returned to the building trade full-time. The Geoff Horsfield Foundation was set up earlier this year to help accommodate vulnerable people with mental health issues in Birmingham. Geoff and the foundation renovate properties and provide ongoing support to help the vulnerable get back on their feet. Andrea Patti, Fiat Professional Marketing Manager said: “Fiat Professional has a proud history of working closely with tradesmen and satisfying their varying needs in terms of mobility and transport. We know that a large percentage of them are football fans and we are proud to be a partner of The Football League. For tradesmen who don’t think they have what it takes to make it in professional football, Fiat Professional is also running a competition to win a Fiat Professional van for two years. The winner will be able to choose from any model in the current Fiat Professional range including the Ducato, Doblo’ and the brand new Talento, Fiorino and Fullback pick-up launching in June. This prize also includes servicing and maintenance. Fulham, Huddersfield Town, Ipswich Town, Rotherham United, Preston North End, and Wolverhampton Wanderers. Barnsley, Blackpool, Burton Albion, Chesterfield, Colchester United, Coventry City, Fleetwood Town, Millwall, Oldham Athletic, Rochdale, Scunthorpe United, and Shrewsbury Town. Accrington Stanley, Crawley Town, Hartlepool United, Newport County, Notts County, Oxford United, Plymouth Argyle, Portsmouth, Stevenage, and Wycombe Wanderers.